Cut chicken into mini cubes and cook in lightly oiled grill pan. I lightly seasoned the chicken with Goya Adobo seasoning & Pepper. Once the chicken is cooked thoroughly set chicken aside to slightly cool. 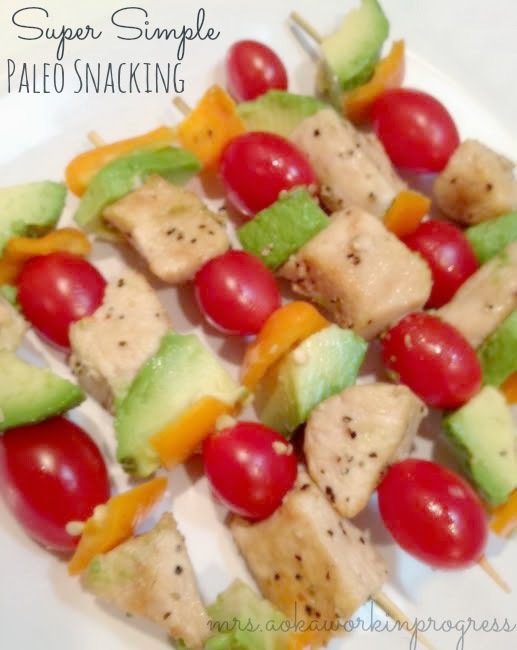 Cut your mini bell peppers & avocados into mini chunks about the same size as the chicken. 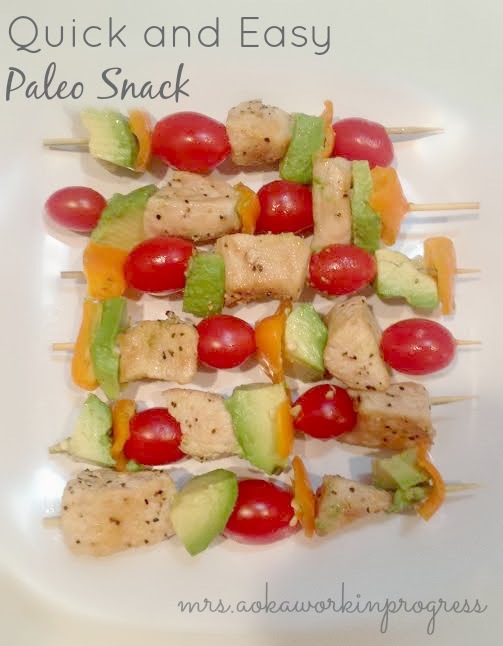 Once everything is cut start skewering the meat and veggies don't forget the cherry tomatoes.